Watched The Birds last night. Still a great film after all these years. 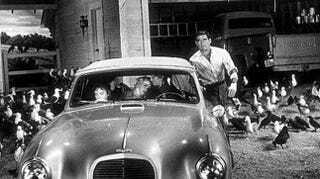 But what car is it that Rod Taylor, Tippi Hedren et al escape in at the end?